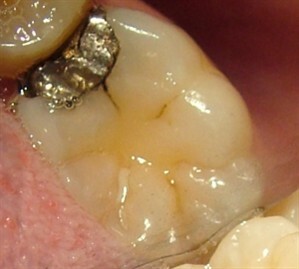 In the past, teeth were most commonly repaired with amalgam (silver) fillings or gold restorations.Although gold is the most durable and stable material for fillings, it is not acceptable to all people .Thanks to advances in modern dental materials and techniques, teeth can be restored with a more aesthetic and natural appearance. There are different types of cosmetic fillings currently available. The type used will depend on the location of the tooth and the amount of tooth structure that needs to be repaired. The simplest form of ‘white filling’ is technically called a composite. It is made up of a composite quartz resin and usually contains some sort of light sensitive agent. These light cured composites are extremely cosmetic and most often bonded into place in one appointment. For this reason, they are often referred to as “bonding”. They can be used in both the front of the mouth as well as in your back teeth. These materials come in a variety of shades so that they will match the color of your own teeth. Some of these composite materials have been specifically designed to actually withstand the incredible forces you can exert when chewing on your back teeth. In order to bond a filling material to your tooth it is first necessary to remove decay, prepare the tooth and then to condition the enamel and dentin. Once conditioned, a thin resin is applied which bonds to the etched surface. The bond strength of these fillings is incredible. Today we can bond plastics and even amalgam (silver fillings) to your teeth. Bonding increases the strength of these restorations far beyond those of only a short time ago. After placement, composites are hardened by shining an intense light on them for a specified period of time, usually around 40 seconds. This means your filling time is reduced greatly, leaving you more comfortable in the chair. Since we tend to look at this light all the time (many times a day) it is necessary for us to protect our eyes from it with an orange shield. It is not necessary for us to protect your eyes since you look at this light only once in a while. However, it is probably a good idea for you not to look directly into the light anyway. An ounce of prevention is indeed, worth a pound of cure! We are constantly asked the same question, “When can I eat?”. Well, after placement, as long as you brought your own food and you share, you may chew right away. These fillings are instantly hardened by the light. Your teeth may experience some degree of temperature sensitivity for a few days to a week. If it does not disappear within that period of time, contact your dentist. The other type of ‘white filling’ is called a porcelain Inlay . These fillings are more suitable for larger cavities, as indirect fillings last longer .These fillings are usually placed in back teeth when aesthetics is of utmost concern. In order to increase their strength and longevity, they are fabricated in the laboratory and then bonded into position in the office. 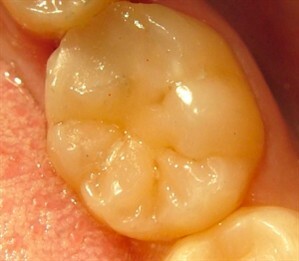 This is a two visit procedure rather than the one visit required to place a composite filling. However, when it comes to strength and cosmetics, the extra time and expense is well worth it!